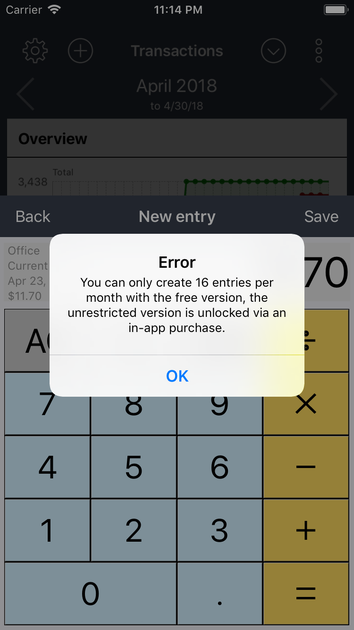 In the free version, you can create up to 16 entries per month. The update permanently removes this restriction. All the functions are unlocked, except the functions of the extension packages. 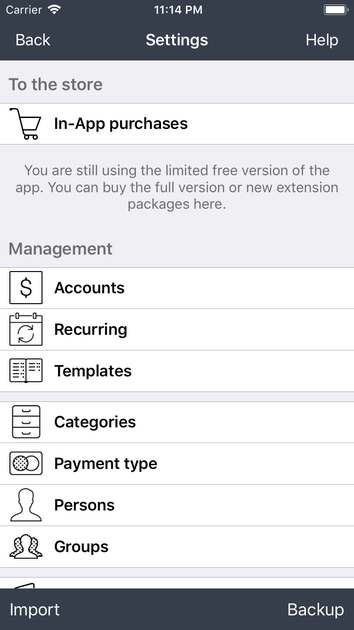 It is possible to purchase more functions via in-app purchase. (one-time payment). After two years of development and support, we decided to offer some new in-app features, to ensure the further development of this great app. If you do not need the new extensions, you will still benefit from the bug fixes and new free features every time you update.